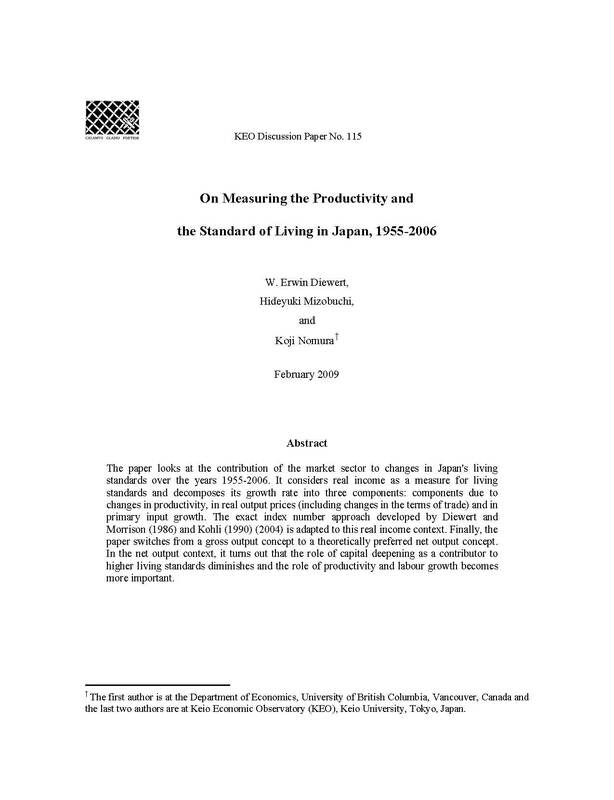 The paper looks at the contribution of the market sector to changes in Japan's living standards over the years 1955-2006. It considers real income as a measure for living standards and decomposes its growth rate into three components: components due to changes in productivity, in real output prices (including changes in the terms of trade) and in primary input growth. The exact index number approach developed by Diewert and Morrison (1986) and Kohli (1990) (2004) is adapted to this real income context. Finally, the paper switches from a gross output concept to a theoretically preferred net output concept. In the net output context, it turns out that the role of capital deepening as a contributor to higher living standards diminishes and the role of productivity and labour growth becomes more important.